Three bedroom detached Torquay holiday cottage in walled garden in the St Marychurch area. Only 5 minutes to the nearest beach. Dogs allowed. We stayed at St Anns last August and had a great time. 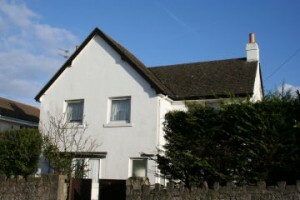 The cottage is close to the beach (only a 5 minutes walk) as well as lots of other amenties. We are a family of 2 adults and 3 small children, so we visited the Babbacombe Model Village which is also very close. Our children absolutely loved it. We also visited Paignton Zoo which is a short drive away. The cottage itself is very nice. When we arrived there was a welcome pack of tea and coffee, milk, wine and biscuits. On our first night we bought fish and chips to takeway from Hanburys (we found it on the internet as an award winning fish restaurant). Then for the rest of the time we cooked at home. The cooking facilities are good with enough pots and pans and cooking utensils for a self catering holiday. We didn’t find anything missing. Also the beds were very comfortable. The cottage allows dogs, so our German shepherd was very welcome. We also took strolls along the Babbacombe Downs which is only a 5 minute walk. The views are superb from here. There is a grass lawn on the cliff top overlooking the bay. There are a line of hotels, pubs and cafe/restaurants along here. We tried Angels for a cream tea. I would highly recommend it. There is also a cliff railway here and the dogs are allowed as well. It takes you down to the beach if you don’t fancy the long steep walk. Or you can walk down and take the cliff railway back up, which is what we chose to do. This entry was posted in Torquay Cottages and tagged #holidays4uorg, #karendurant, #torquaycottages by holidays4u. Bookmark the permalink.